Buying a new home and applying for a mortgage? For the next 2-3 months, you should consider paying off your credit card balances in full just prior to the "statement date." Yes... yes... I know, you proudly pay all your balances in full, and you carry no debt. So what's the problem? Why on earth would you want to pay your balance before the statement date? Because if you don't, your credit card charges and balance as of the statement date will be reported to the credit bureaus. Thus, even if you always pay your statements in full, carry no revolving credit card debt, and never pay any interest, as far as the credit bureaus (and potential creditors) are concerned, it "looks like" you are carrying balances. So, you're blissfully going through life thinking that you have "no debt," and have an amazing credit score, while to the financial and credit world, it may look like you're knee-deep in credit card debt. But, You're Not Carrying and Credit Card Debt! Or... Are you? You then receive your statements between the 6th and 12th the following month, and you proudly pay your entire balance. By paying your statement in full, obviously you pay no interest. However, what you may not realize, is the both of these credit card issuers already reported to the credit bureaus the same day they generated the statement. Thus... when a potential lender pulls your credit report, you will have a 25-35% debt to credit limit ratio, AKA, "credit card utilization rate." This can be a crucial factor when applying for a mortgage, obtaining the lowest interest rate on a new car loan, or getting favorable financing terms on many other types of consumer credit. When applying for a mortgage in particular, credit card balances can be bad because a mortgage lender and their underwriter is going to hold firm on qualifying you based upon your "debt-to-income ratio." In basic terms, the debt to income ratio is calculated the relationship between your monthly income (before taxes) and your monthly debt obligations. For example, if your monthly income is $5,500, and your existing non-mortgage or rent debt payments are $1300 a month, your ratio would be 23.6%. By carrying credit card debt (or "appearing" to carry a balance), you will raise this all-important ratio, possibly beyond the lender's qualification standards - meaning... there goes your mortgage approval! Generally speaking, mortgage lenders would be pleased to see "zero balances" on your credit cards - at least on most of them. 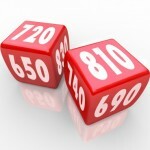 Depending on your charging habits, not only does a zero-balance benefit you by lowering both the debt-to-income ratio and credit card utilization rate, but assuming all other aspects of your credit are favorable, you will likely increase your FICO credit score considerably - potentially lowering your mortgage interest rate, saving you many thousands of dollars in interest over the life of the loan, and possibly making the monthly mortgage payment more affordable as well. Check your previous statements, or go online to review your account. Look for your "statement date." If they are consistent, then you should be able to predict within a few days of when your statement cycle ends. Log into your account 3-5 days prior, and go ahead and pay your current balance. it's okay if a few smaller charges come through... in fact, most experts agree, that it slightly benefits your FICO score to carry a small balance, as it shows you DO actually use your credit cards - meaning, you've demonstrated your ability to pay over time. High-Income Earners are Not Necessarily Exempt! Contrary to popular belief, when it comes to credit card utilization, mortgage lenders may not care how much money you make, or what your savings look like. Thus... even if you are a high-income earner and have generous savings, if you know you'll be applying for a mortgage soon, please do yourself a BIG favor and pay those balances in full just prior to the statement date. Trust me... you REALLY don't want to have the discussion as to why your credit card debt is so high, even if you have several hundred thousand dollars in the bank - it's just not worth the potential hassle. Yes... it can seem like the banks are holding you over a barrel at times. But... you want that new house, right? So relax, and be smart... get the upper-hand! Two to three months prior to applying for a mortgage, get into the habit of paying your credit card balances before the statement date. You will be glad you did.